We received today a few new screenshots of SEGA's upcoming Sonic Rivals title for the PSP, showcasing a new area and a few new characters. Knuckles goes for a ride.For those who're unaware, this latest Sonic title will play out as a head-to-head competition between Sonic and his top rivals. The game touts itself as having classic 2D gameplay within a 3D environment, sporting both single and wireless multiplayer modes. 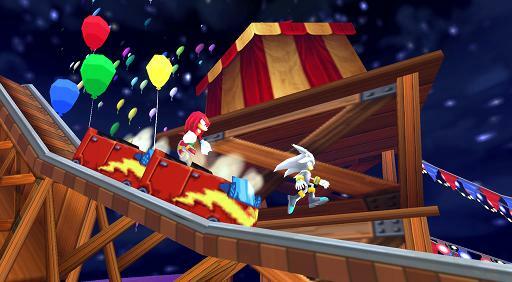 Sonic Rivals on the PSP is still scheduled for a release later this year. Be sure to check back with us for more updates soon, and of course a full review when it arrives.